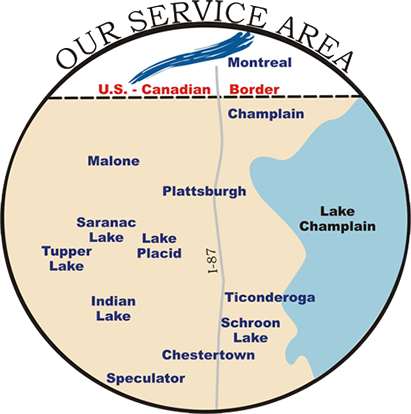 – Hub of the QUEBEC-NEW YORK CORRIDOR. – Gateway to NEW YORK'S TECH VALLEY. – Heart of the ADIRONDACKS. – A Place where LIFE IS AS IT SHOULD BE!